At Cottons Chartered Accountants we have the solution for businesses who are a bit under the weather. We have launched a drop-in surgery for business troubles and we’re taking it on the road. We have teams of tax advisors and accountants in London, Northampton, Daventry, and Rugby and our new tax and accounting drop-in surgery will be coming to all of them. The format is simple, you don’t need an appointment, you simply stop by wherever we’ve set up shop and talk to an experienced accountant or tax advisor about your business. Whether you want to discuss your systems, payroll, VAT or anything else then we are here to help. And you don’t have to pay for a pricey consultation either, the surgery is free of charge. Our team of London accountants and tax advisors have already hosted their first surgery lead by our new Associate Partner Ollie Warne ACA. The surgery was held at Huckletree East, a fantastic shared workspace in the heart of FinTech and Creative business hub, Shoreditch. 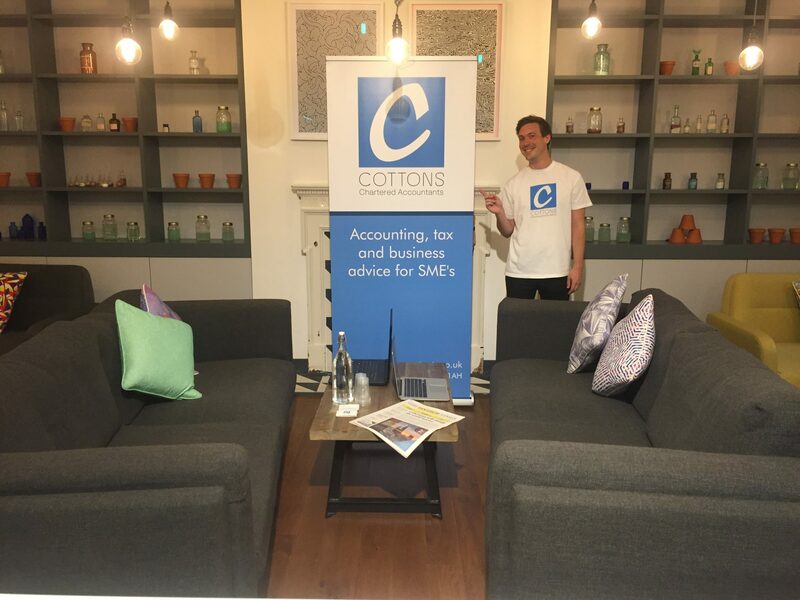 On the day the team were available to answer tax and accounting questions from anyone who wanted to pop in. They were joined by freelancers and small business owners alike who all had tax and accounting matters to address within their businesses. Our tax and accounting road show isn’t the only way to talk to us about your business. If you are in need of tax, accounting or business planning assistance then you contact one of our 5 offices directly and make an appointment, all of our first consultations are free. We have offices throughout the Midlands with branches in Northampton , Rugby and Daventry and, of course, our thriving operation in London. Our teams provide a comprehensive range of accounting and tax services to businesses of all sizes. We are also audit accredited accountants able to provide businesses with specialist audit reports and have a dedicated corporate finance team.